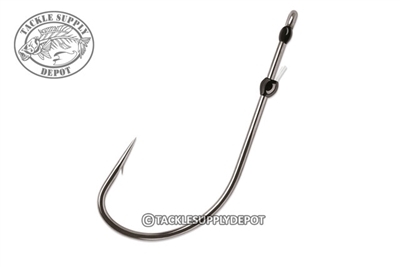 The VMC Finesse Neko hook is perfect the ever popular Neko rig as well as for many light line techniques including dropshotting and finesse Texas rigs. These hooks feature an adjustable fluorocarbon keep for versatile rigging as well as a Pro's Choice 3 degree offset point for increased hooking rate. The long shank, wide gap hook design offers the right amount of space and surface area for maximum performance. Finishing off with a smooth epoxy resin which closes the hook eye to prevent line slippage when dealing with those hard fighters.